I complained loudly when Microsoft raised the price of the 2017 Surface Pen to $100, but it appears the price increase was a deliberate move to open up opportunities for new partners to enter the market. Besides the dual protocol Bamboo Ink from Wacom, two new players have just released their own Windows Ink compatible pens priced below $50. The Nuvision package includes a second hard tip and two softer tips, an extractor and a AAAA battery. The first entry comes from NuVision The $40 Active-Capacitance Nuvision Digital Pen (model TPEN-H1BK) uses Microsoft Pen Protocol (MPP) and is Microsoft INK Certified. It offers 2048 levels of pressure sensitivity. The pen is compatible with a wide-range of MPP (aka N-Trig) pen-enabled devices, including the entire Surface line released since mid-2013. Nuvision offers a couple of ultra-low-cost tablets that have been sold at the Microsoft Store, but the Solo 10 Draw (TM101W610LBL) and Signature Edition (TM800W610L) tablets are not listed in the pen’s compatibility chart. Go figure. The retail package includes three spare tips and a tip extractor. One AAAA battery is also included. Comparing pen tips top to bottom: the Wacom Bamboo Ink, the Surface Pen, the Nuvision Digital Pen and the Adonit Ink. Note the significantly longer tip of the Adonit. 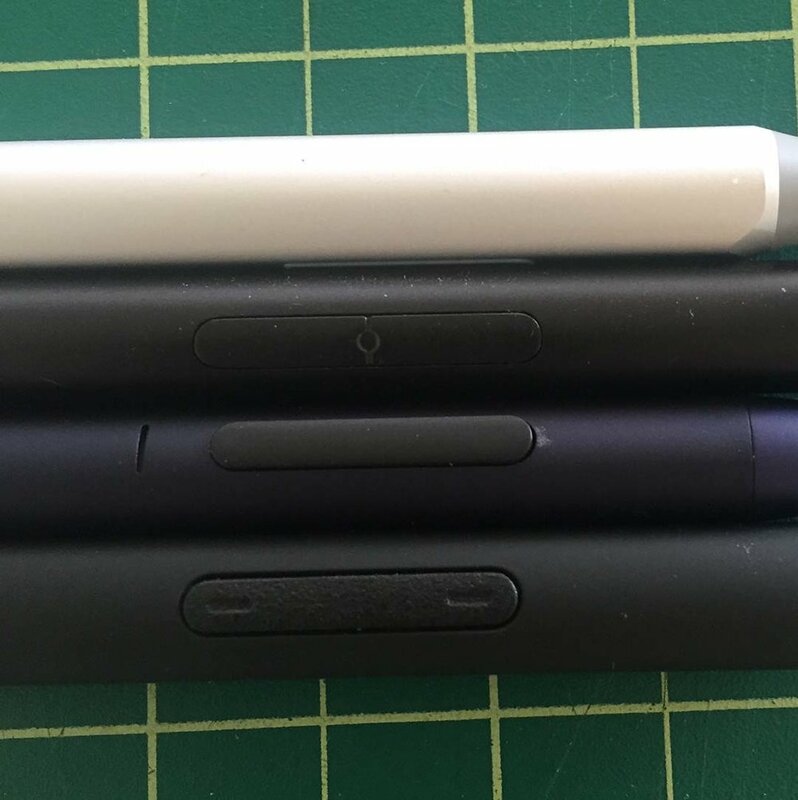 The side buttons of the Nuvision Digital Pen (second from the top) are so snug to the barrel that they're difficult to make out visually or by touch. The buttons are much more pronounced on the Adonit Ink and Wacom Bamboo Ink (bottom). Two side switches are preset to erase and right click functions. The buttons are flush with the aluminum alloy body and very easy to miss. Performance of the pen is on par with the Surface Pro 4 pen. Of the pens I compared for this post, the Nuvision required the highest activation force. Unfortunately, the Adonit Ink package does not come with a spare tip. The $45 Adonit Ink is that company’s first foray into Windows accessories. Adonit offers a wide range of styluses for the Apple iPad line. The company doesn’t specify the number of pressure levels offered by the Ink. It ships with only the pre-installed tip and a USB charging cable. The pen will provide 80 hours of continuous use and requires 45 minutes for a full charge. I was able to use the pen straight out of the box without charging. Fully charging the Adonit Ink pen takes 45 minutes and provides 80 hours of continuous use, according to the manufacturer. Note the red LED indicating the pen is charging. Unlike most other Windows pens, the Adonit Ink can be turned on and off with its side switches. An LED just above the buttons lights green when the pen is turned on and red when it is turned off or charging. The switches are also preset to erase and right click and can’t be reprogrammed. Neither pen offers a tip eraser. The Adonit Ink is significantly lighter than the Nuvision, weighing just 12g vs. 22. The Ink is available in black, silver and midnight blue. Adonit will sell replacement tips separately but I was unable to find them listed on the website. 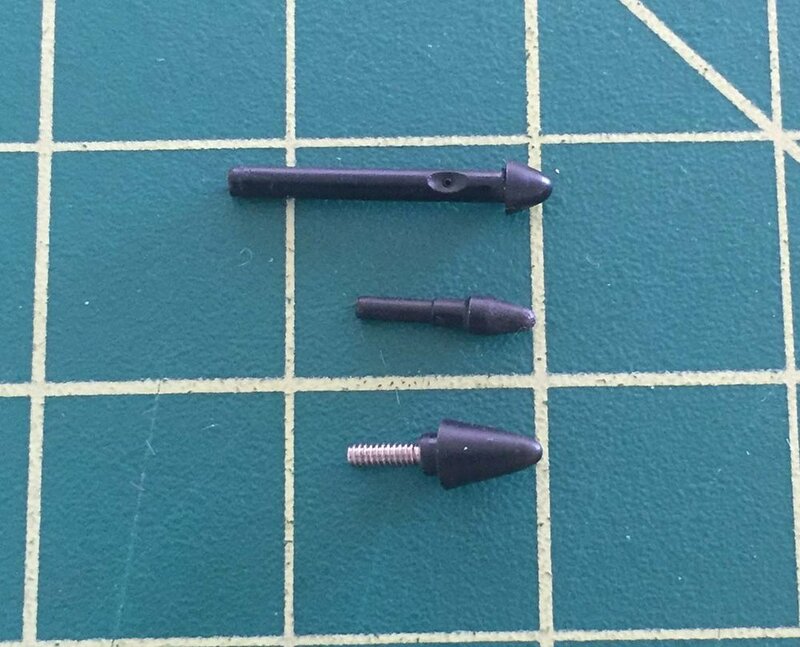 The Surface Pen tip (top), the Nuvision tip (middle) and the Adonit Pixel Point tip (bottom). Despite their radically different designs, all have about the same hardness. The Ink’s “Pixel Point” tip is hard and the screw-in attachment exposes about double the length of the Surface Pen tip. This design would be helpful for shading, but unfortunately, the Adonit doesn’t offer tilt recognition. Because the tip is quite hard, writing with the Ink can be noisy as it as it clacks against the glass. The Adonit Ink is so responsive with light strokes that it tends to produce artifacts between them (notice all the fish hooks in the word Adonit). IAF is extremely low vs. other MPP pens, so the Ink may be attractive to users with very light touches (see the Clip Studio Paint example above). On the downside, I found it very difficult to regulate pen pressure and my strokes tended to blow out very quickly. The examples below were produced on the new Surface Pro with the Surface app (I really wish the program were renamed to something more descriptive!). Microsoft recently added a current pen pressure window which allows you to see exactly how much pressure you're applying as you draw in the window on the left. 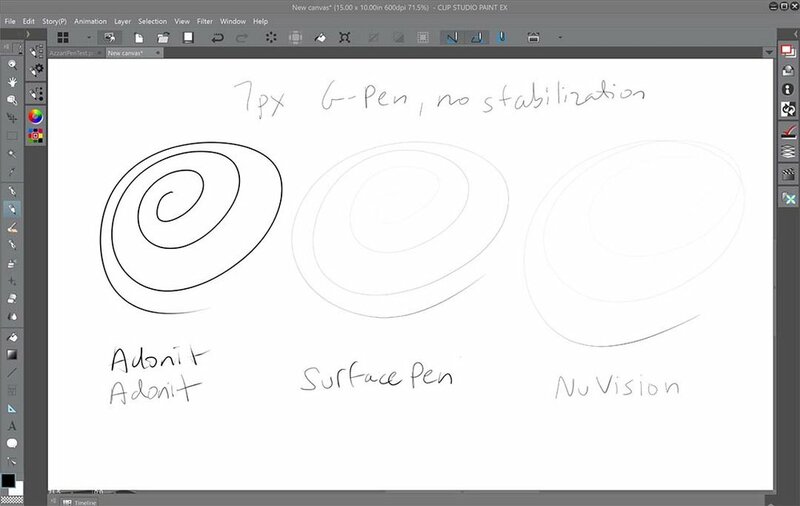 As you drag the pen pressure slider, it adjusts the current pressure curve in the lower right. Because of its low IAF, the Adonit Ink is the only pen that should be set to the lightest pressure sensitivity. Note how I was unable to achieve a smooth transition between pressure levels (top right). The next-to-lightest pressure level setting may be too low for this pen, but the pressure transition is much smoother than the Adonit Ink's. This pressure sensitivity setting is probably too low for most users who complain about IAF, but notice the wide range in stroke thickness and the smooth slope of the pressure. Before running out to purchase either pen, remember that they are not compatible with Wacom EMR or Active ES devices. 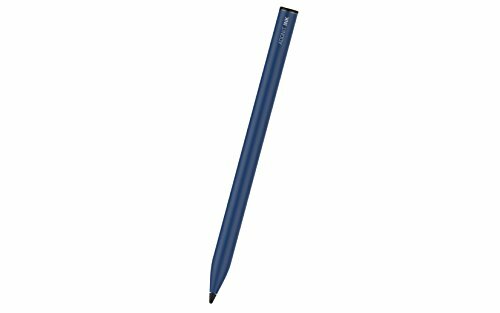 Neither stylus is a new Surface Pen replacement, given that pen’s Bluetooth capability, tilt recognition, higher pressure sensitivity and eraser cap. But if you’re looking for a spare pen or a lower priced alternative for your older device, the Nuvision and Adonit entries are worth considering. And if you have an exceptionally light hand, you may actually prefer the Adonit Ink.